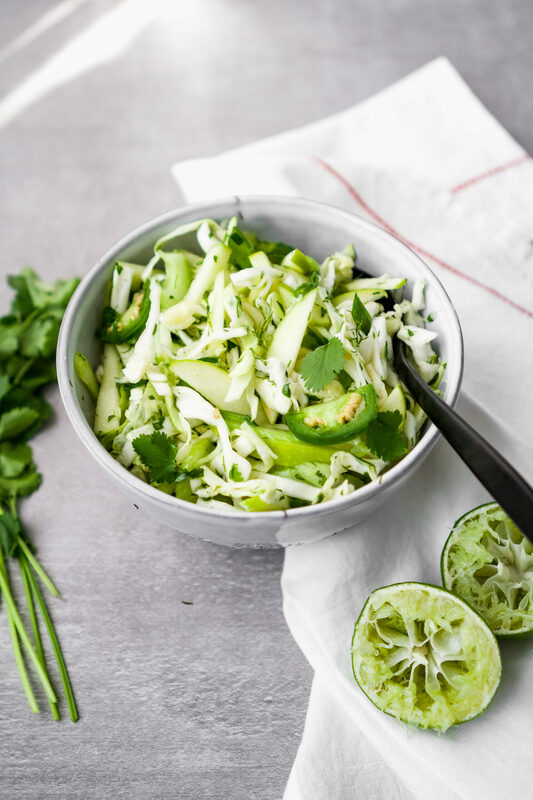 Simple and versatile, this vibrant green slaw makes a perfect side dish or addition to just about any meal. 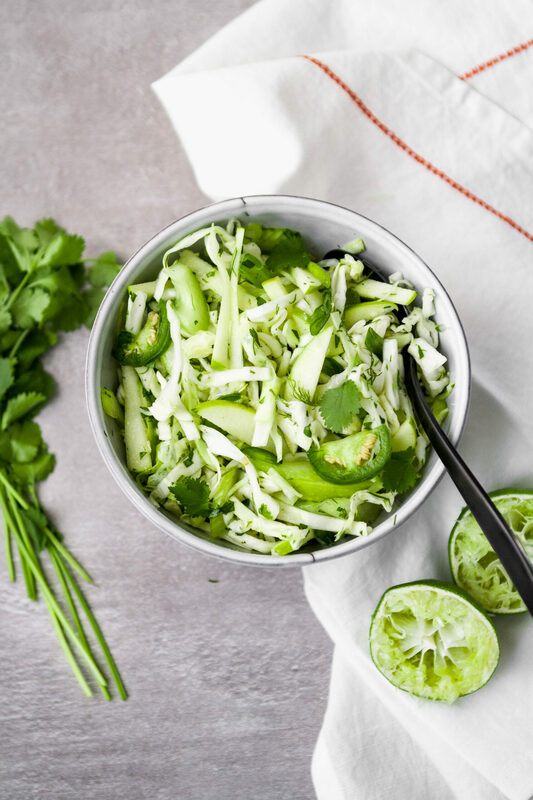 Packed with flavor from cilantro and dill, green apple, jalapeño, and more, this simple slaw is healthy, delicious, and refreshing. Dill might seem like a surprising addition to a slaw, but hear me out. Just a touch of dill adds a delightful freshness while also pairing well with both tacos and grilled meals. This slaw stores well in the refrigerator, and since it isn’t mayo- or yogurt-based, it can sit out for a few hours, which means it’s perfect for picnics and grill-outs. I shared this recipe on my Instagram a few weeks back, but as promised I’m also sharing it here so you know where to find it. Toss together cabbage, celery, apple, scallions, cilantro, jalapeño, and dill. For the vinaigrette, whisk together lime juice, honey, olive oil, garlic, and salt. Drizzle vinaigrette over cabbage mixture, toss to combine, season with salt and pepper to taste, and chill until ready to serve. 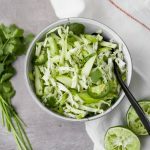 Pair this slaw with some of my favorite taco recipes!